a saturday smile: Pantry perk ups. Spring cleaning time is here again and your pantry needs to be cleaned out. 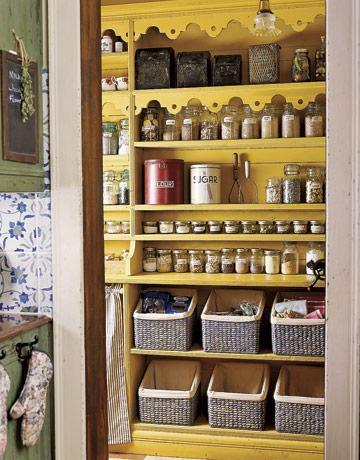 First things first, go through all of your dry goods and throw away anything that has expired. Believe me, you'll find some interesting things in the back. 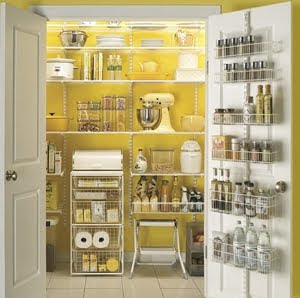 Next, get yourself some handy storage containers. 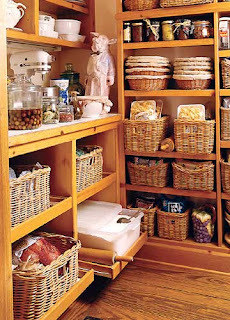 I like the way baskets look, but if you want to ensure optimal freshness, get yourself some plastic bins and jars with airtight seals. Anything that is in a box should be moved to an airtight container to prevent the product from staling and the attraction of bugs. 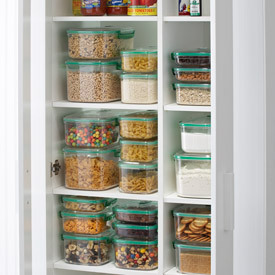 Be sure to write down the expiration date or the date of storage to remind yourself when it's time to throw out. Finally, organize your dry goods as though a grocery store would. 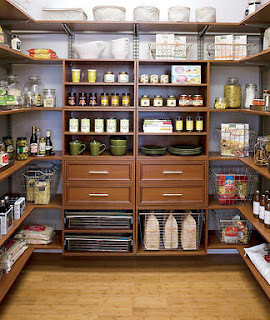 Designate shelves for alike products. Another great idea is to remove separately packaged products from their boxes and store in smaller containers or baskets to save space. 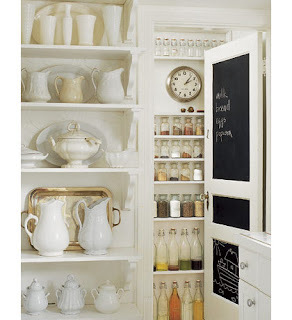 I promise you...a clean, organized pantry will inspire you to reorganize other closet spaces....after you cook a fabulous dinner of course.